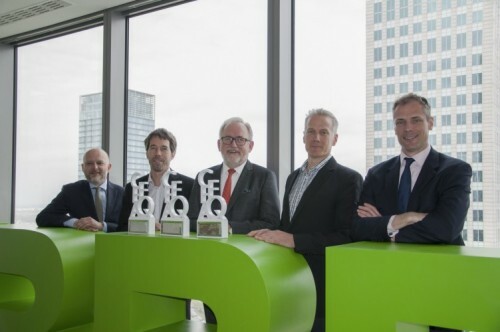 CBRE has been recognised at the Central & Eastern European Real Estate Quality Awards (CEEQA) as Office Agent, Investment Agent and Property Management Company of the Year. The awards, judged by a panel of 40 industry experts, celebrate real estate developments and achievements across 18 countries in Emerging Europe. In 2014 CBRE’s CEE Capital Markets division had a particularly strong year with 32 transactions and working on four out of five of the largest deals closed in Poland. The Asset Services team manages over 2.5 million sq m of space across 16 countries with a 415 strong team. The Office Agency team of 80 leased over 630,000 sq m of space in 2014.